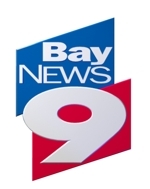 Recently I had the opportunity to appear on Bay News 9 and speak once again about the Tampa Bay Real Estate Market and what’s going on with Irma foreclosures and the Trump tax bill (taped prior to the passing of the most recent revised law). The inventory levels in Tampa Bay are truly stunning – 2.6 months of inventory is the lowest we’ve seen in 11+ YEARS. What that means in English is we are in a total seller’s market, and if you’ve been waiting to sell – now is the time – I do not know how much longer prices will climb. If interest rates are raised, which is the rumor, this usually cools off pricing in the real estate market, so don’t wait for that to start happening. If you are contemplating selling your home, contact us for a no-pressure complimentary market analysis and find out what you home is worth.